What Are Fab Smile Veneers? Fab Smile Veneers are the latest in removable Clip On Veneers giving you the perfect smile that you deserve and always wanted. Our teeth veneers online are the new solution for a snap on smile which is Pain-Free, Dentist Free and Affordable. If you have discoloured, missing, chipped or crooked teeth, we can help bring back your smile and confidence. Super-Thin, made using Best-in-Class Technology. Depending on the exact state of your existing teeth, we typically manufacture our elite veneers to a thickness of between 275 to 400 microns – compare that to most of our competitors whose veneers are usually around 600 microns thick. See for yourself what we can offer by taking a few minutes to view our Smile Gallery? 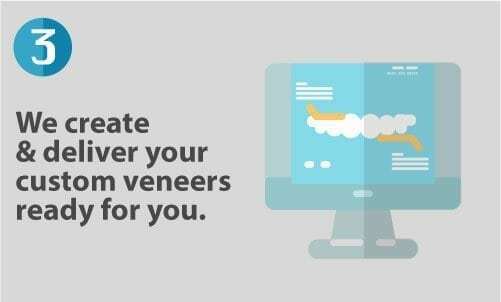 Your new veneers from Fab Smiles will be custom-made to your personal specification. 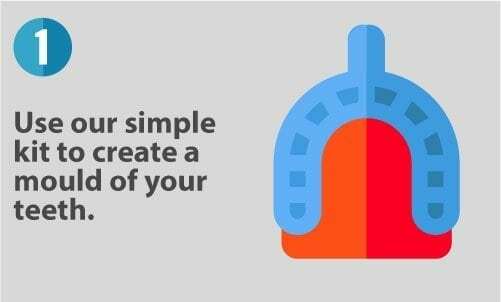 An “impression” of your existing teeth is taken, and we then carefully manufacture your veneers for a comfortable fit. Our clip on veneers are made from the latest high grade dental materials to give you a natural look. Our veneers are lightweight; they have a slim-profile, so they fit easily and securely on to your existing teeth. They are also stain-resistant and easy to clean. We have two different model types of teeth veneers online to choose from – Ideal and Elite+ – and a choice of shades, so whether you want a dazzling whiter-than-white smile or something a little more subtle and natural looking, we can supply it! read all about Our Process . Why Choose Us for Your New Clip On Veneers? 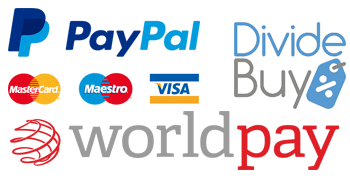 • We are a name you can trust! 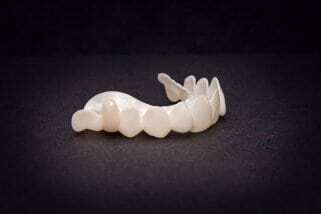 • We are a Dental Technology company based in Manchester. • The Company was set up by a Dental Technician who has over 30 years’ experience in dental technology. We have a team of experienced dental technicians and we use the latest design and production technology to bring you what we think are the best clip-on veneers on the market today. Importantly all our veneers are manufactured on-site at our production facility in Atherton – we do not import or outsource any of our work. 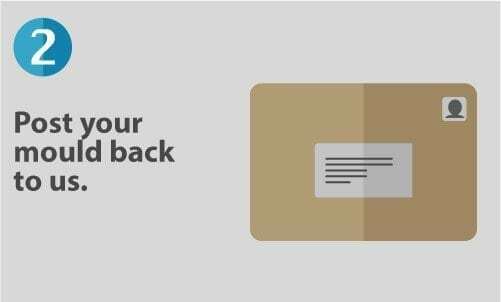 We do this so that you can be assured of a quick and reliable service. 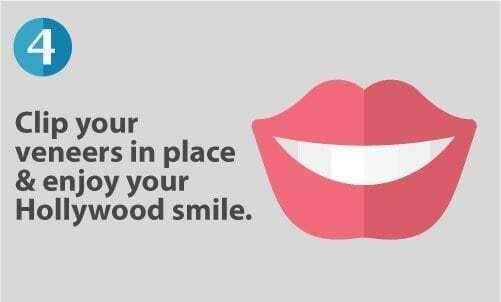 Find out more information here on why you should choose Fab Smile Veneers.